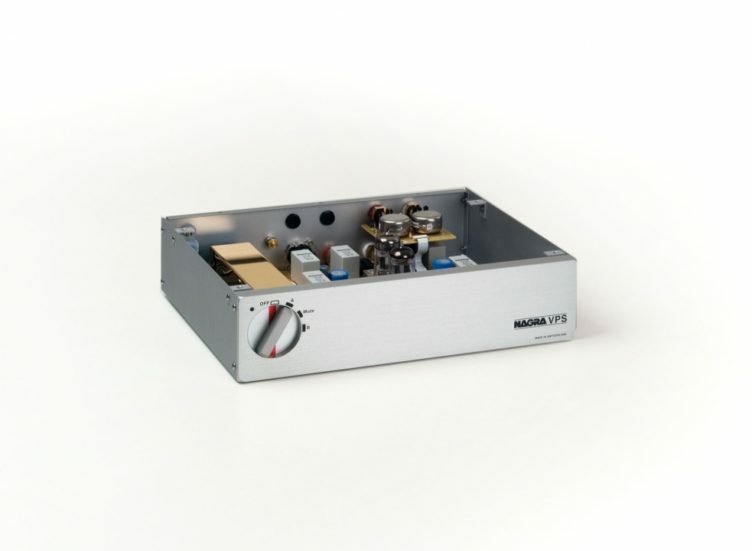 Built in a traditional Nagra compact brushed aluminium case with identical dimensions to the preamplifiers and CD players, this dual input phono preamplifier is to be used in conjunction with a line preamplifier such as the Nagra JAZZ. 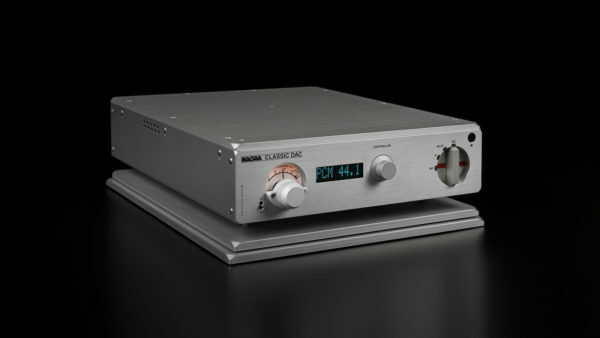 The metal chassis of the VPS offers excellent protection from spurious parasitic interference which can be very influential when working with phono level audio signals. 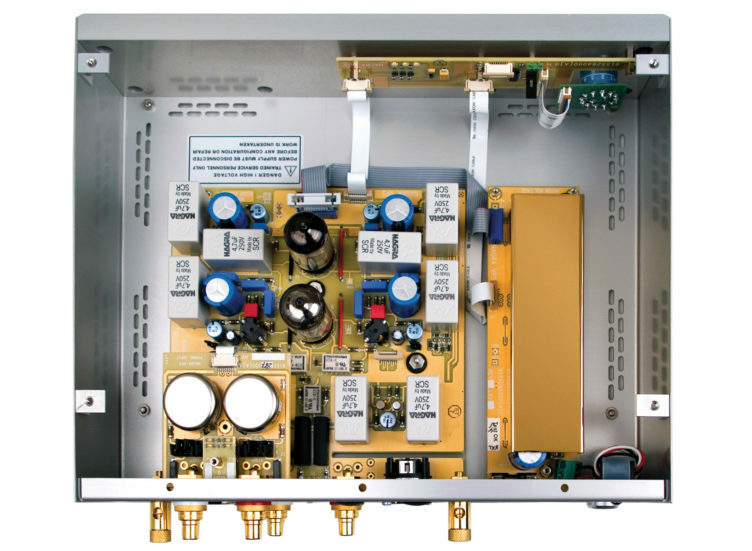 The internal circuits of the VPS are gold plated and benefit from in-house wound input transformers to guarantee the highest possible fidelity when operating with a moving coil cartridge. All the connections to the VPS are available on the rear of the unit and use the WBT gold-plated RCA connectors. 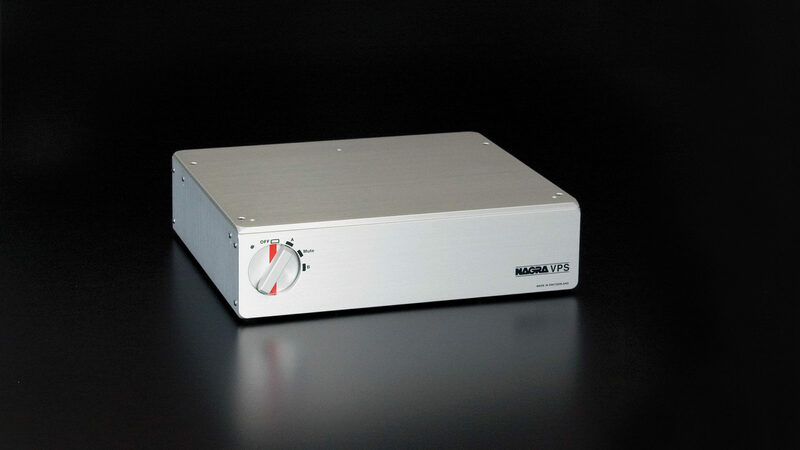 The VPS is equipped with a single MM / MC input stage as standard, but can be equipped with an optional second MC / MM or MM only input circuit to accommodate a second tone-arm or turntable. Even though the circuit is mounted on insulation suspension mountings, ideally, the VPS should be installed on the VFS (Vibration Free Support) shock absorbing plates, to totally eliminate any mechanical vibration from being transmitted to the highly sensitive input stage. Taken from the concept of the PL-P the VPS uses adaptive loading circuits built onto small additional boards that can be inserted as required. 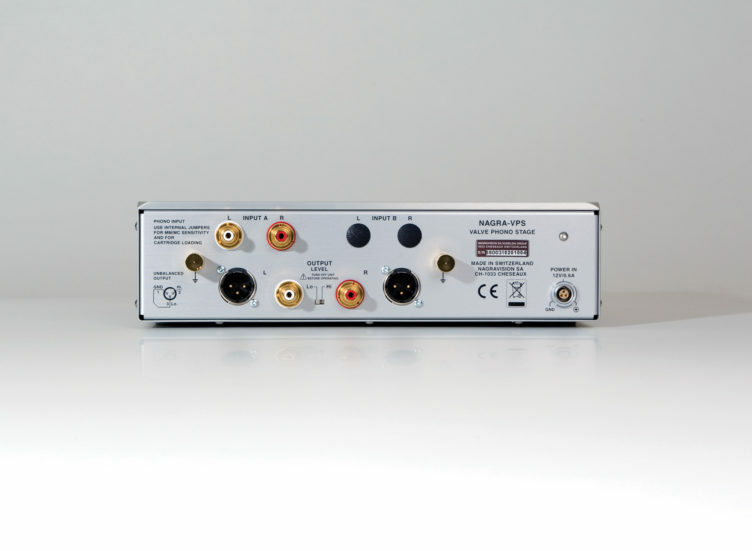 Six of these circuits are delivered with the unit, allowing the input impedance of the VPS to be adapted to match virtually any phono cartridge. 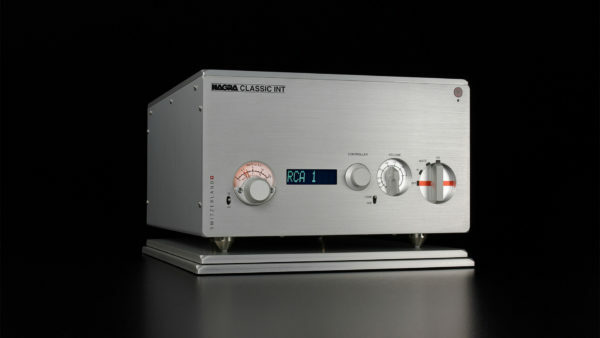 Three additional custom made modules are available from Nagra, free of charge upon request. 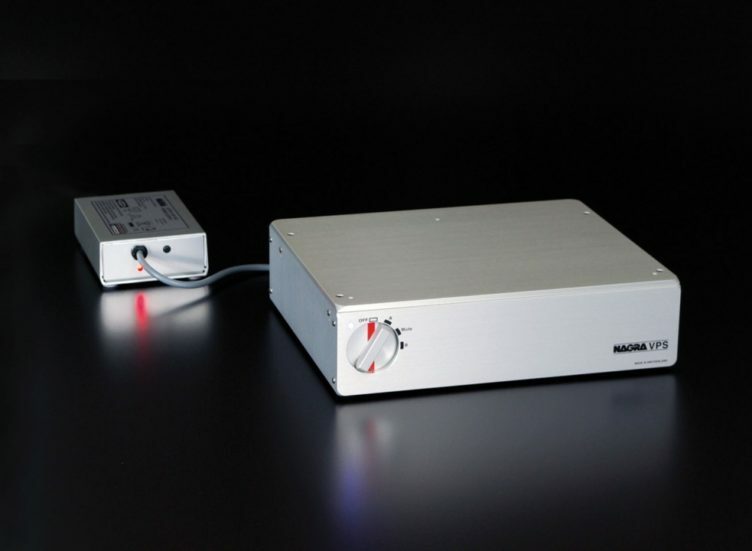 The VPS can be powered by its own independent 12V supply unit. To take the VPS a step further, the MPS multiple power unit can be used. In this case, adding the optional Li-ion battery pack, to guarantee complete isolation from the Mains, should be considered.